How Important Is A B2B E-Commerce Platform For The Success Of Your Online Business? 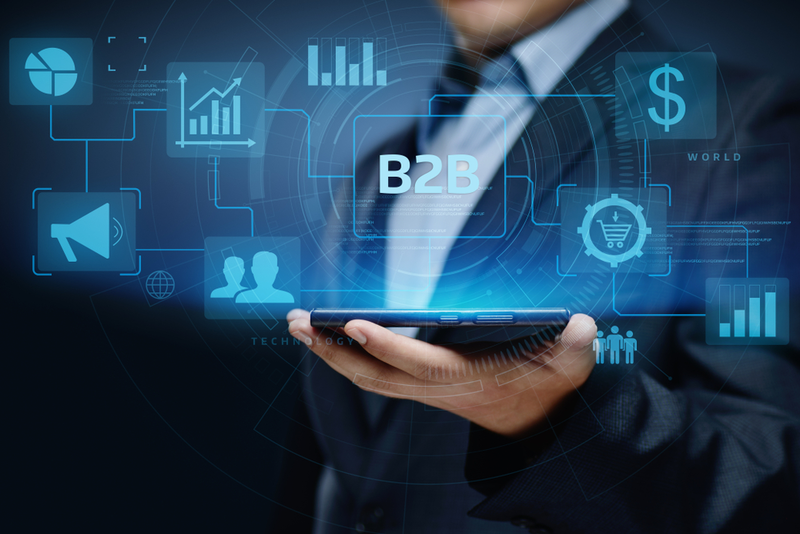 B2B e-commerce is the buzzword in the modern business world which refers to a process where the transaction of products and services take place on an online platform. It is a sheer business to business dealing that has altered the perception of the global industry and aims to improve the efficiency of business through a practical, comfortable, and smooth dealing process. Choosing the best B2B e-commerce solution can benefit your e-commerce business as it will effectively streamline the purchasing experience of your customers and will speed up your business dealings. Here we will do a competitive analysis of several B2B e-commerce solutions and the role they play in helping businesses to get a foothold in their niche. Would you like to know how much B2B businesses earned in 2017/ It’s a whopping $7.7 trillion, three times higher than how B2B performed (2.4 trillion)? Witnessing such a tremendous growth as compared from past years, the day is not very far when B2B e-commerce shares will double in their profit-making. Market experts anticipate that by 2020, as many as 1 million B2B professionals will lose their jobs. The reason/ Companies will be making their B2B purchases directly from vendors online, without the need of a high-touch salesperson. This is why having an e-commerce website will be a necessity to stay alive for B2B companies. What are modern day customers saying? The renowned global survey done by (“go-dot-Forrestor-dot-com”), people say that buying directly from a website is much easier than communicating or negotiating with a sales representative. Seventy-five percent of them believe that online purchasing is convenient and 93 percent of customers say that they would buy online once they decide on things they need to buy. Here are a few B2B e-commerce platforms that are popular in the e-commerce world. A popular store management system designed for smooth online transactions between e-commerce and business is simple to install, easy to use and offers some responsive template option for business. No technical knowledge is required to use the platform as it is highly initiative. It helps e-commerce merchants integrate their business data with ease. Once you incorporate it, it will turn your simple e-commerce platform into advanced B2B market-place. You can sell unlimited products and services with this platform. It offers multilingual currency options with safe and secure payment and shipping methods for its customers. It is a responsive platform and has friendly SEO features. It is lightweight which boosts the speed of your e-commerce business. A popular open source e-commerce platform that comes with high-grade customization features. You can build your e-commerce site start from scratch with this platform. It features a vast number of e-commerce themes, various top class payment solutions and gateways and integrated customer service tools for quick installation. It’s easy to use and manage with little to no tech knowledge. You will get a vast range of modules once you integrate it into your business and can build your store with numerous features. This platform required minimal maintenance and most importantly active customer support provided by the platform. It allows multilingual customer support that benefits the e-commerce owners of different geographical regions. It is one of the most widely used WordPress plug-ins supporting 42 percent of online stores worldwide. Launching and managing your e-commerce store is very easy with Woo Commerce if you are already working with WordPress. It is a free platform which is ideal for small-to-medium-sized businesses. Its featured allows you to create the perfect storefront for your target audience. It comes with a bunch of themes and plug-ins as well as standard hosting and maintenance services and performance optimization features. It offers various add-ons that help enhance the functionality of your store as well. With the help of its analytic tools, you can track your customers in real-time and learn their preferences to improve the site performance. This gives you more information as to what exactly they’re looking for and interested in, leading to more sales. A renowned e-commerce platform is a home to approximately 1 million e-commerce stores across the globe. You can start using it by installing with just a few clicks. Integrate Shopify on your e-commerce store and quickly boost your sakes. It comes with unlimited bandwidth SaaS hosting that maximizes support and adds to the flexibility and reliability of your store. It can handle heavy traffic which means your site won’t crash, even if it experiences a sudden surge in sales. It was designed with the expansion of your business in mind. You can run stores in different countries with its built-in multi-currency support. It allows the facility of running ten clone stores as part of your original store with independent backend features like separating the orders, inventory, and content for the sites. Magento is one of the most robust e-commerce solutions for B2B companies that can support 500,000 products on a single site, and handle more than 80,000 orders per hour. It paves the way for increasing customer experience and speeds up the purchasing process. It is a responsive platform which provides a pleasant user experience. No matter how challenging your business is, this platform gives you an upper hand in running your online store. It comes with a visual based page editor which gives you a flexible content management interface where you can manage and customize your site content easily. It is SEO friendly and helps to improve the ranking of your site. You can easily integrate a third-party system like Google Analytics into your system to easily see the data in real time. As you see e-commerce is the future of business and choosing a good B2B e-commerce platform can help you grow. It is essential to select the right type of platform that suits your business requirements as you’ll be investing your time and money into generating more sales. In conclusion, e-commerce platforms are the best B2C and B2B solutions for growing your business in this day and age. https://noviland.com/wp-content/uploads/2019/03/b2b-ecommerce.png 334 834 SEO https://noviland.com/wp-content/uploads/2017/02/Noviland-01.png SEO2019-03-29 02:57:302019-03-29 02:57:30How Important Is A B2B E-Commerce Platform For The Success Of Your Online Business?